Lounging around outdoors is one of life’s simplest pleasures on a pleasant day. 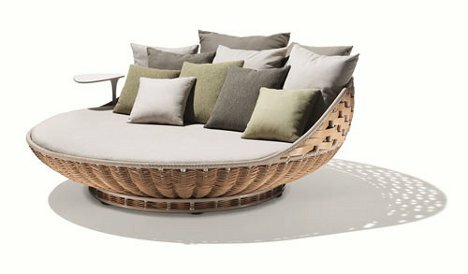 Outdoor furniture company Dedon has invented two fantastically unique ways to spend your day lounging around in the sun. The Nestrest is a hanging lounger that gives users a sort of suspended sanctuary. 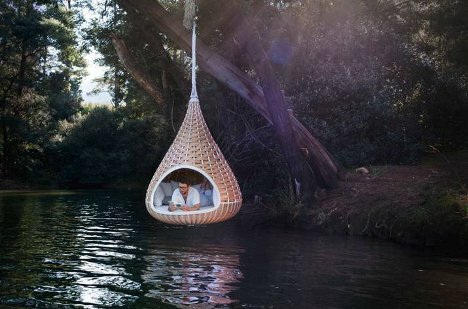 Sort of like a human-sized bird’s nest, the Nestrest is a private getaway for summertime naps, uninterrupted reading, or quiet conversations. In scale, it is somewhere between a plush lounge chair and a bed. 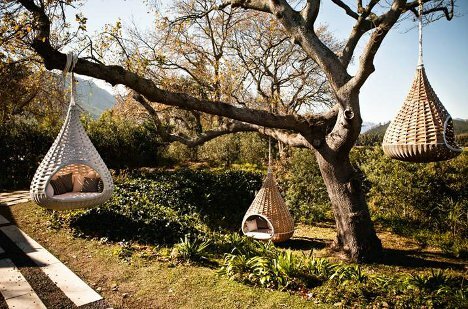 The enclosed sitting area and gentle swaying motion of the suspended nest serve to create an uber-relaxing environment. It’s kind of like a cradle for grownups, with the summer breeze providing a soft push when needed. The teardrop-shaped enclosure is meant to be enjoyed swaying freely, but can also be untied and set onto a stable base, firmly on the ground. 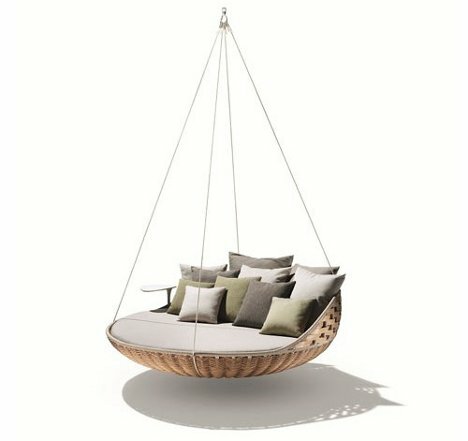 For those who would rather see their surroundings while relaxing outdoors, the Swingrest is sort of like a Nestrest with its top removed. The large mattress-like pad is a comfy place to hunker down and get some Vitamin D while gently swinging to and fro. 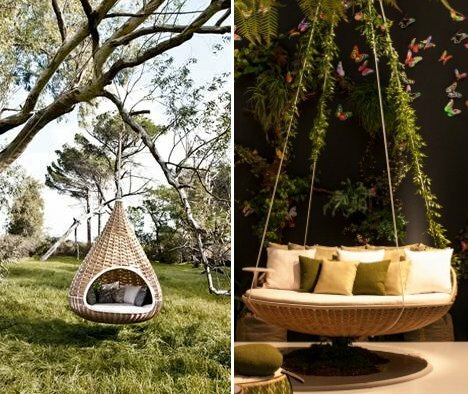 Nature lovers prone to motion sickness have the option of removing the hanging cables and instead setting the Swingrest on a static base. The tiny side table holds a cocktail, cold lemonade or the novel that you’ll finish right after your nap.